NASA has provided footage of Hurricane Earl as a Category 4 storm in the mid-Atlantic as it approaches the East Coast of the United States. The Hurricane is so large that, even if it does not make landfall, it is dangerous because of its winds, high waves, surges and rip currents. 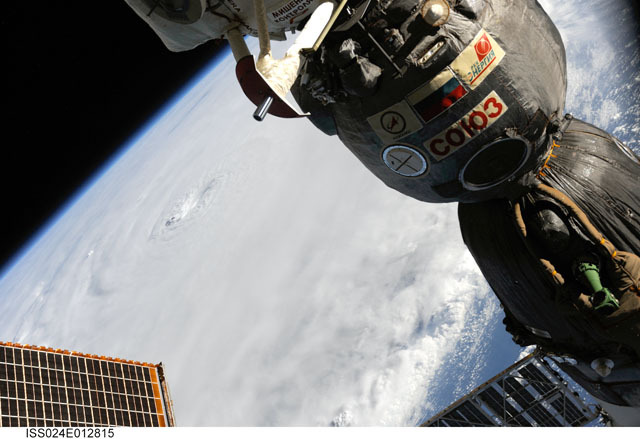 NASA has provided footage of Hurricane Earl from the Space Station. The Hurricane has grown so large that it is expected to do some damage as far north as New England even without landfall. The governors of North Carolina, Maryland and Virginia have declared a state of emergency. President Obama has declared a national state of emergency for North Carolina. Mandatory evacuations are underway. Other states are expected to follow suit once there is more certainty of its path. None of the models have the storm coming ashore before Cape Cod on Friday Night (Sept 3), but forecasters warn the storm has grown to be so large that even a brush by the coast can have serious consequences for those in affected areas. PASADENA, Calif. – A relatively new type of El Niño, which has its warmest waters in the central-equatorial Pacific Ocean, rather than in the eastern-equatorial Pacific, is becoming more common and progressively stronger, according to a new study by NASA and NOAA. The research may improve our understanding of the relationship between El Niños and climate change, and has potentially significant implications for long-term weather forecasting. The scientists say the stronger El Niños help explain a steady rise in central Pacific sea surface temperatures observed over the past few decades in previous studies--a trend attributed by some to the effects of global warming. While Lee and McPhaden observed a rise in sea surface temperatures during El Niño years, no significant temperature increases were seen in years when ocean conditions were neutral, or when El Niño's cool water counterpart, La Niña, was present. 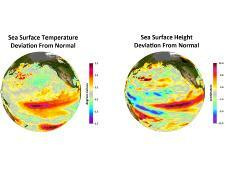 The El Niño/La Niña has a direct correlation to the frequency of storms in the Atlantic. The intensity is impacted by the temperature of the water. Both of those factors are at effect of climate change. While the sudden increase in intensity of Hurricane Earl may have nothing to do with a warming environment, it is possible that the number and intensity of such storms will be observed as the oceans produce hitherto unseen temperature events as with the new El Niño model now uncovered by NOAA.